Considering a Closed Circuit Television System? There are several all-inclusive systems available depending on your varying needs ranging from a few hundred dollars (for personal use) to several thousand dollars (for cooperate operations). Before deciding on a system to purchase, you first need to decide exactly for what you will use the equipment, as well as how much you are willing to spend. 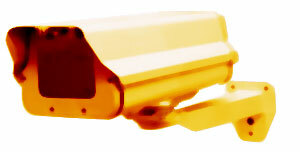 When setting up a closed circuit system, you choose what, when, and where your images from the cameras are displayed. You can have images routed in real-time to a room of your choice, or you can simply have it recorded for later use. Businesses usually prefer the real-time solution, while homeowners wishing to protect themselves against possible theft of babysitters and maids while they are away almost always record the video and view it later. Installation of the systems is surprisingly simple. While it may seem complicated, it is usually as easy as installing the proper S-Video cable from your camera to your television in order to broadcast the feed. The exact cables will vary depending on your camera and television model and setup, but the premise is the same. You may also want to protect your cameras from inclement weather with protective shields if you plan to have them outside. Closed Circuit television is a versatile, affordable solution for those with a desire to protect their personal and business assets.